Looking for a quick fix to the deep inequality that so afflicts us? Stop your searching. We need to strategize instead for the long-term. A riveting new work from a leading historian helps us see how. Too harsh a judgment? Hardly. Current standard corporate operating procedures only make sense if we acknowledge that America’s biggest private enterprises have essentially become the private preserve of an elite executive class. How else to explain today’s most routine corporate behaviors? The endless rush to mergers that create little more than chaos in newly consolidated workplaces. The ongoing corporate refusal to invest significantly in research and development and employee training. The billions of dollars corporations spend to “buy back” company shares of stock on the open market. All these moves leave corporations less equipped to succeed in the long term. But all these moves generate multiple millions, sometimes even billions, in the here and now for the corporate executives who make them. The United States, in effect, has slid into what University of Maryland historian and political economist Gar Alperowitz calls a “systemic crisis.” For the nation’s vast majority, America has simply stopped working. Daily life has turned into an ever-faster treadmill. And no real relief looms anywhere on the near horizon. In this dreary environment, an understandable disillusionment — with our political leaders — runs deep. So does a decapacitating cynicism. Why bother struggling against an unjust status quo when nothing ever changes? 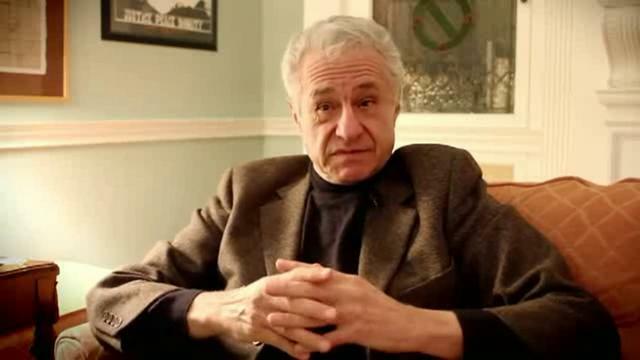 Just what does Alperovitz mean by that? In any social order, he explains, political power reflects the ongoing distribution of wealth. Meaningful change only begins when that existing distribution starts coming under challenge. Alperovitz envisions a steady expansion of wealth-democratizing institutions like these. Over time, over decades, the people these institutions touch begin to see from their daily experiences that alternatives to our dominant corporate status quo do exist. They begin to hold “clear ideas” about what can be done. In times of acute crisis — say another banking failure — people with clear ideas about democratizing wealth won’t let their tax dollars bail out billionaires. They’ll demand public banks. They’ll carve away at private corporate power, bit by bit. What Then Must We Do? mixes these intoxicating visions of a future yet to be with concrete descriptions of wealth-democratizing efforts already underway all across the nation, from Cleveland and Chattanooga to Portland and Sacramento. The pages Alperovitz has penned here hold a promise that goes beyond the compelling clarity of his prose. National networks are already working to advance his strategic vision, efforts like the community wealth-building initiative of the Maryland-based Democracy Collaborative and the New Economy Working Group, a center for both local and global thought and action. [toomuch_promo]America, Alperovitz reminds us, has become the wealthiest nation in the history of the world. The nation’s annual income, if divided equally, would be enough to bring each family of four $200,000. We can, in other words, do far better for average Americans than we do today. Why not try?